An event in the Quest of Erebor; see that entry for an overview. 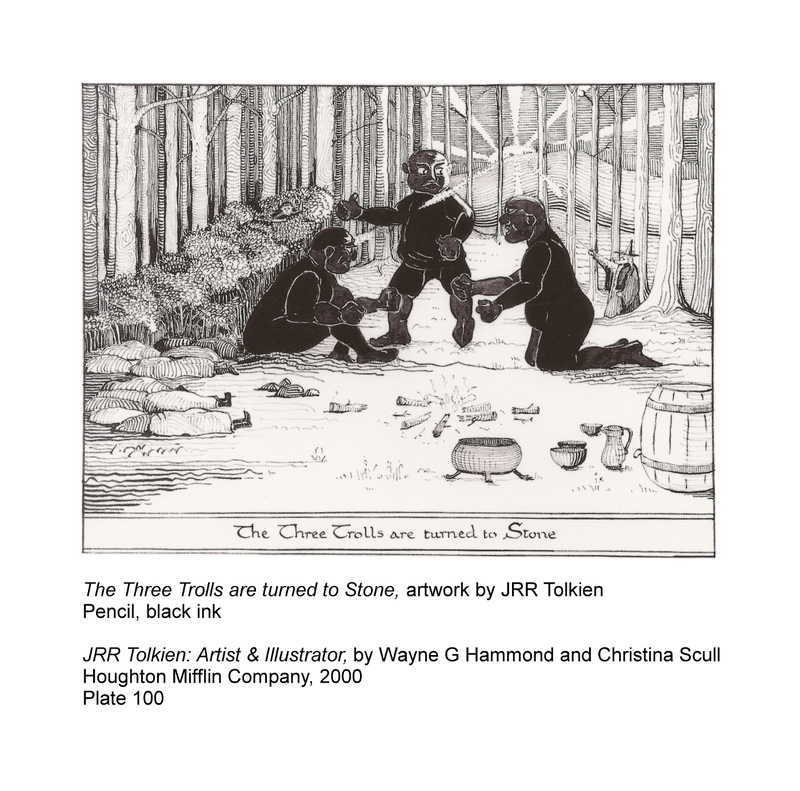 The Three Trolls are Turned to Stone, by JRR Tolkien. And so the argument began all over again, and went on hotter than ever, until at last they decided to sit on the sacks one by one and squash them, and boil them next time. 'Who shall we sit on first?' said the voice. 'Better sit on the last fellow first,' said Bert, whose eye had been damaged by Thorin. He thought Tom was talking. 'The one with the yellow stockings,' said Bert. 'Nonsense, the one with the grey stockings,' said a voice like William's. 'I made sure it was yellow,' said Bert. 'Yellow it was,' said William. 'Then what did yer say it was grey for?' said Bert. 'Two to one, so shut yer mouth!' said Bert. 'Who are you a-talkin' to?' said William. 'Excellent!' said Gandalf, as he stepped from behind a tree, and helped Bilbo to climb down out of a thorn-bush. Then Bilbo understood. It was the wizard's voice that had kept the trolls bickering and quarrelling, until the light came and made an end of them. 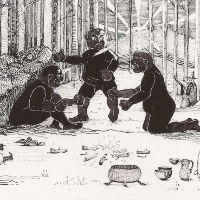 The next thing was to untie the sacks and let out the dwarves. They... had not at all enjoyed lying there listening to the trolls making plans for roasting them and squashing them and mincing them. The year is canon, but the date is an estimate from Fonstadt.